In operation since 2009, Christian Companion Senior Care is a personal and companion care agency that has provided much-needed assistance to families all around the Dallas - Fort Worth area. 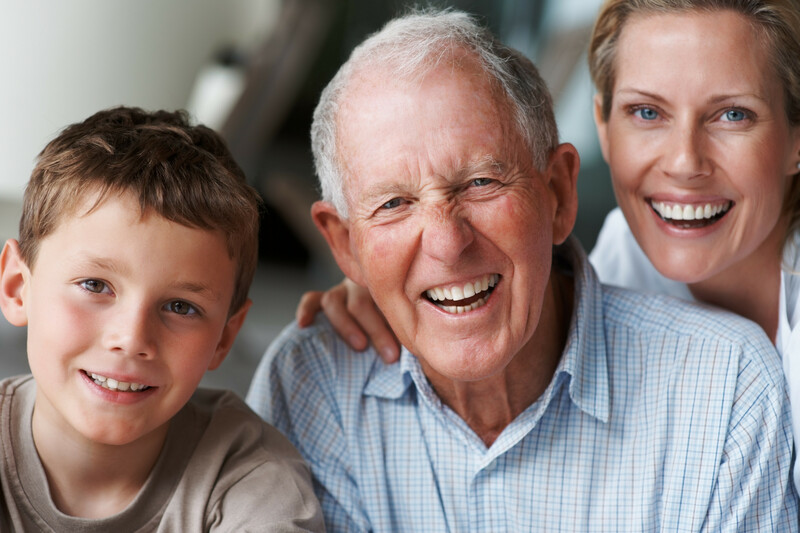 We are bonded and insured and hold a Personal Assistance Services License issued by the Department of Aging and Disability Services (DADS) for the state of Texas. Are you looking for senior companion care? Do you want to maintain your independence? Would you like to receive care in the security and comfort of your own home? Christian Companion Senior Care has the service for you. Finding trusted senior companions is a very difficult thing to do. Knowing and trusting someone who will step into your house and take care of you or a loved one is essential. At Christian Companion Senior Care, you can trust that our thoroughly vetted caregivers are well equipped to help you or your elderly relative receive the care they need. 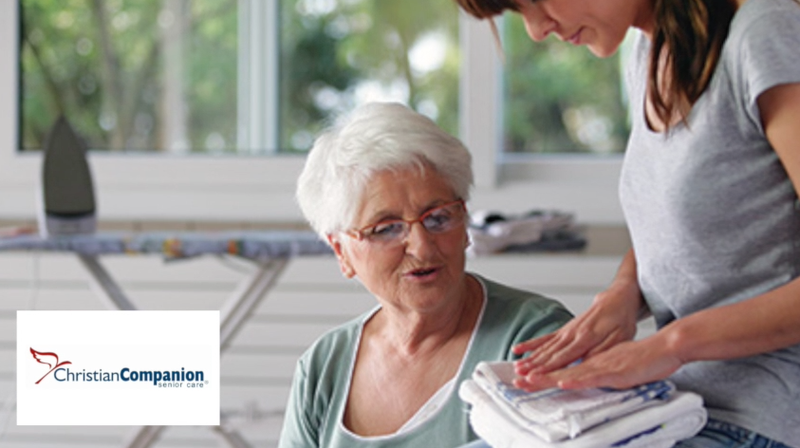 Our caregivers can help assist with the day-to-day tasks that are essential, all while you maintain your independence. Light housekeeping, cooking, bathing, and dressing are just a few of the many tasks we can assist you or your loved one. Based in Rowlett, TX, specializing in home senior care in Rockwall, TX, we are able to assist you or your loved one with the best home care anywhere in the Dallas/Fort Worth Metroplex. There are many senior companion services in the DFW metroplex, so determining which one to pick can be extremely trying. The trusted caregivers at Christian Companion Senior Care are well versed in assisting you or your loved one with the care they deserve. Integrity and compassion are held to a high standard here at Christian Companion Senior Care. If struggling with daily activities is affecting you or a loved one, having a companion to count on to help with those tasks is a wonderful thing. Our companions are gentle and kind and will treat you with respect. We know how important it is to maintain your independence; we work with you to ensure that your goals are being reached. Our registered nurse will come to your house and help figure out what plan of care is right for you. We have helped families all over the DFW metroplex and we can help yours. We possess a Personal Assistance Services License that was issued to us by the Department of Aging and Disability Services (DADS) for the State of Texas. Located in Rowlett, we have been in business since 2009. We are an insured and bonded companion care service and a proud member of the Christian Senior Network. Contact us today to discover which program is right for you or your loved one. 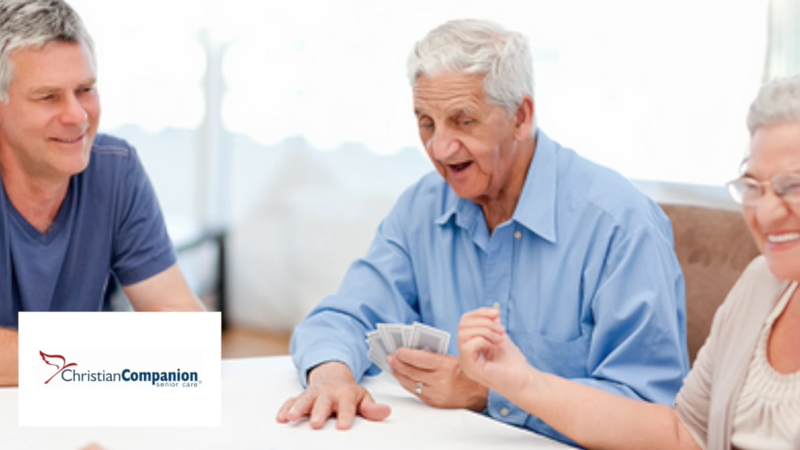 What is Companion Care for the Elderly? 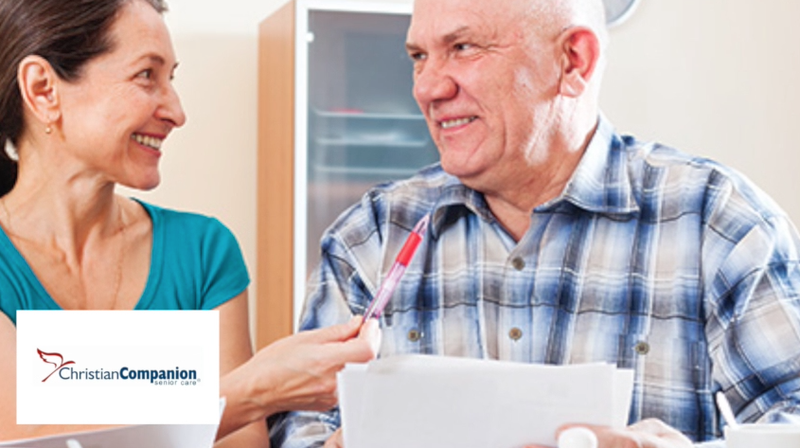 Companion Care for the Elderly includes light housekeeping, cooking, cleaning, running errands, bathing, driving, reminding you to take your medication, and being a companion. Being isolated as a senior can lead to loneliness and depression. As one ages, their ability to go out and socialize becomes extremely limited. With a companion, they know that they are not alone and that they have somebody to talk to. Our companions will engage you in friendly conversations, eat meals with you, and even play games. Do you have hobbies that you enjoy? Our caregivers would love to have the opportunity to learn about what you or your loved one does to pass the time. We want to engage in activities that our clients enjoy and incorporate them into stimulating activities. Companions also have the ability to drive you or your loved one to church, the grocery store, or to a social outing. Our extensive background checks ensure that the caregiver’s driving record is squeaky clean. Companions are also there to make sure that the house is being kept clean and organized. Having a clean home promotes peace of mind and an organized, stress-free way of living. Our companions will work with you to ensure that your home is an oasis. Maintaining your independence is an important part of being a human. Our companions are here to help you stay active in the comfort of your own home. Being able to maintain your independence allows a sense of self worth and accomplishment. Our caregivers are not here to take away your duties; they are here to give a helping hand. Christian Companion Senior Care wants to work along side you or your loved one and help you maintain having control over your own life. We will involve you in the tasks, activities, and duties of daily life, based on your physical ability. Our friendly caregivers will listen to you and see exactly what you want to do. How Much does Senior Companion Care Cost? In addition to the shift, if personal care is needed, meaning touching the client in any way, one of our staff nurses is to perform a nurse assessment, requiring a one-time charge of $60. The beauty of our no long-term contract system is that you can begin services when you need us and end services when we are no longer needed. We will work with you for as long or short as you want us to. Our goal is to relieve as much as the financial burden as we can by providing the no long-term contract services. If your loved one is a veteran, our services may be eligible for benefits from the Veterans Administration. Interacting with people is a key instrument in living a wonderful life. In fact, studies have shown that having a companion by your side can increase you longevity and overall health. It can get lonely living on your own, especially if you are not able to get as easily as you once could. Having a companion to engage in intellectual conversation and plan social outings is a wonderful thing. Our caregivers work with you to keep up with your active lifestyle and give you encouragement to stay active, both physically and mentally. You or your loved one's happiness is of the upmost importance to our companions and us. Christian Companion Senior Care provides a list of different specialized care services that we provide for our elderly clients. These services include after hospital release care, Alzheimer’s/Dementia care, veterans care, and end of life care. For the after hospital release care, we can make the challenging process of transitioning from the hospital back to your home smoother and easier. For the Alzheimer’s/Dementia care, our caregivers can keep a close watch on our clients to ensure their safety and engage them in a stimulating and loving environment. For our veterans care, we can provide you and your loved one with benefits that may be eligible through the Veterans Administration. For our end of life care service, we will be there to help relieve the stress, so that you, your family, and your loved one will be able to enjoy the remaining time that you have left to spend together. We will respect your needs and wishes and assist your entire family with any emotional and spiritual needs. Finding help for your elderly relative is difficult. It can be difficult to know which service to trust and which will provide the best assistance to you or your loved one. Christian Companion Senior Care goes through a thorough vetting process of background checks and skills assessments. Our goal is find the care that is best for you or your loved one in the security of your own home. Since Christian Companion Senior Care is conveniently located in Rowlett, we have the ability to serve the entire DFW metroplex. Contact us today and we can get started helping you. Remembering to take medication is a difficult thing to do, especially when there is nobody there to remind you to take it. Sometimes, the days begin to run together and you can’t remember when the last time you took your medicine was and when you need to take it again. The medication reminder systems and calendars that are available for purchase sometimes can be confusing. Our caregivers are equipped to provide you with friendly reminders to take your medication, as their doctor has prescribed. Our caregivers document what medication has been taken and keep records that show each and everything that has happened during the day they are there. It is essential that you or your loved one take their required medication. We are there to help and provide complete peace of mind. What is the Vetting Process for Senior Companions? 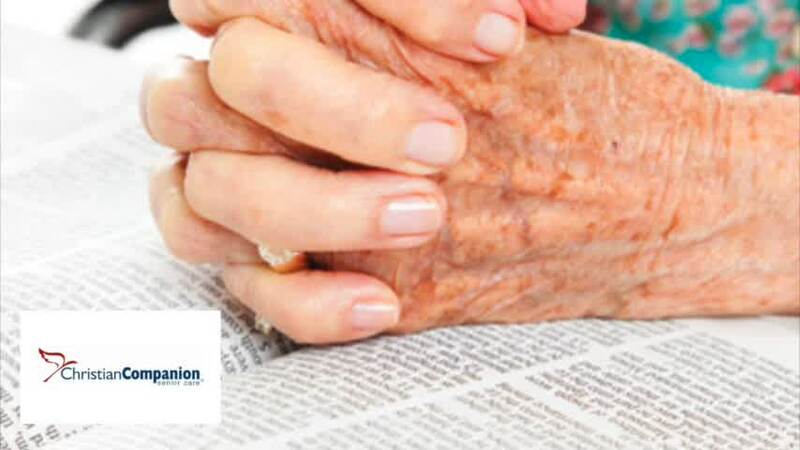 Christian Companion Care Service takes the safety of our customers extremely seriously. We want to make sure that you or your loved one is receiving nothing but the best care. We know that being secure in your own home is a top priority to you and we are here to ensure that security is held to the highest standard. Finding the right caregivers to assist loved ones is an important task in and of itself. Christian Companion Senior Care only hires the best and most trusted companions to care for our elderly friends. We look for people who have experience caring for elderly people in similar situations. If you can handle situations where you experience a person in their declining states. It takes great deal of mental stamina to care for the aging. We want our caregivers to be able to give all of their attention, support, and encouragement to our clients. We yearn for people who are passionate about caring for others, patient, and kind. This career leaves a positive impact on the lives of our clients. Do you think you would enjoy this incredible opportunity to serve others? Sign up today; we’d love to help you help others. As a person ages, their dietary needs change and their medication can sometimes limit what they are able to put into their system. Not all nutrients can be absorbed as easily into an elderly person's bodies and the nutrients that they need change as they age. Our caregivers are able to create a well-balanced menu that is best for you or your loved one. It can also become more and more difficult to be able to cook for oneself. Loss of appetite often occurs due to reduced sense of taste. Our caregivers are equipped to help with cooking food that is best for the health and well-being of you or your loved one. We are able to go to the grocery store and pick out the meals best suited for you. We involve you in choosing what meals you want to eat, so there will not be a time when you are without a say. Living alone can be scary in and of itself. Worrying about your loved ones safety is a natural reaction to them living at home. Our caregivers can do an evaluation of our client’s house to ensure that all of the proper safety precautions are in place, such as smoke detectors and security alarms. If additional needs come about, we constantly update the evaluation. Christian Companion Senior Care wants to provide you and your family peace of mind when it comes to making sure your loved one is safe and secure in their own home. Our caregivers want our clients to feel and look their very best. Keeping up with daily hygiene routines is essential to this. However, showers and tubs can be a treacherous place for elderly people. Our companions are trained on how to properly assist and/or bathe elderly people. Reduced sense of sight and smell can limit a senior’s ability to acknowledge whether or not they need to be bathed; sometimes, they never notice. Sometimes, their fear of slipping and falling while bathing or difficulty in trying to get in and out of the shower or tub can hinder their desire to bathe themselves. Another reason that elderly people don’t bathe or shower is simple because they have forgotten to do so. The days go by and begin to run together. Our companions keep records of everything that occurs when they are at the client’s home. This ensures that no task is left undone. Christian Companion Senior Care caregivers endure thorough background checks so that you can be at ease in knowing that you or your loved one is in good hands. In addition to bathing, our caregivers can also assist in grooming and combing hair. We want all of our clients to feel sharp. Looking good can make you feel good; we want to help you do exactly that. Keeping up with the household is a full-time job in and of itself. We know how challenging it can be. Household tasks that were once easy to complete can be a challenge to endure. Our caregivers offer light housekeeping services that will help relieve your stress. We work with you to ensure that the food in your house has not spoiled. Additionally, we can help vacuum, dust, sweep, take out garbage and recycling, do laundry, change bed linens, and thoroughly clean appliances to ensure that there is no build-up of oil or grease, preventing potential kitchen fires. Keeping a clean and organized home helps reduce stress and promote peace of mind. It can also eliminate the obstacles that might be hindering your ability to move freely through your home. Additionally, our companions can assist with taking care of your pets through daily walks, grooming, feeding, and even trips to the veterinarian. Our goal is to help you or your loved one stay happy and healthy through every activity that we do. Your well-being is of the upmost importance to us. As a person ages, their desire and ability to exercise diminishes. Many studies have shown that moderate physical activity has great benefits for elderly people. Lack of motivation is usually the key reason seniors don’t engage in physical activity. Moderate exercise includes activities such as walking and possibly stair walking. These exercises can help reduce fracturing bones and the likelihood of having a fall. Also, exercise can help reduce the symptoms of depression and anxiety and improve mood. Muscle strength and stamina also see boosts of improvement through light to moderate exercise. Hypertension can be greatly reduced through physical activity. We want to make sure that you or your loved one maintains healthy joints, muscles, and bones. Our caregivers are here to help remind our clients to be active and motivate them through the entire process.